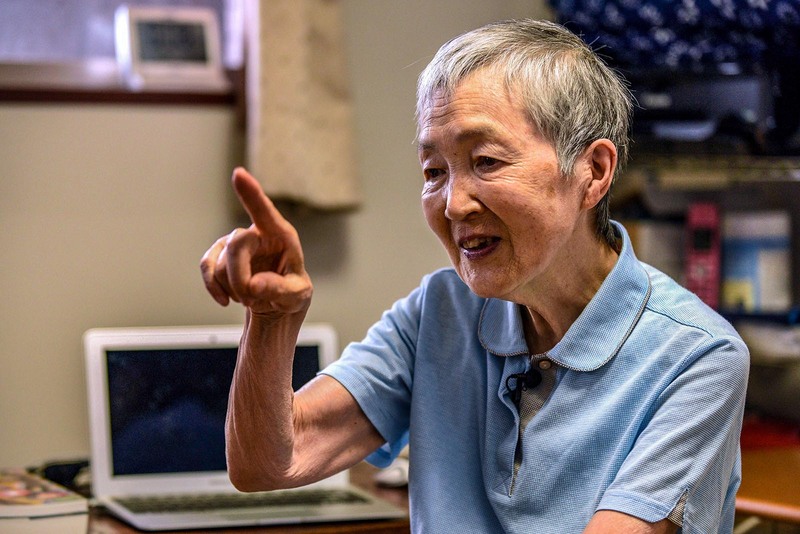 Programmer Masako Wakamiya, 83, speaking during an interview in Fujisawa, Kanagawa prefecture in 2017. She is one of the world's oldest iPhone app developers. Technology adoption can alleviate the challenges faced by aging societies in the region. 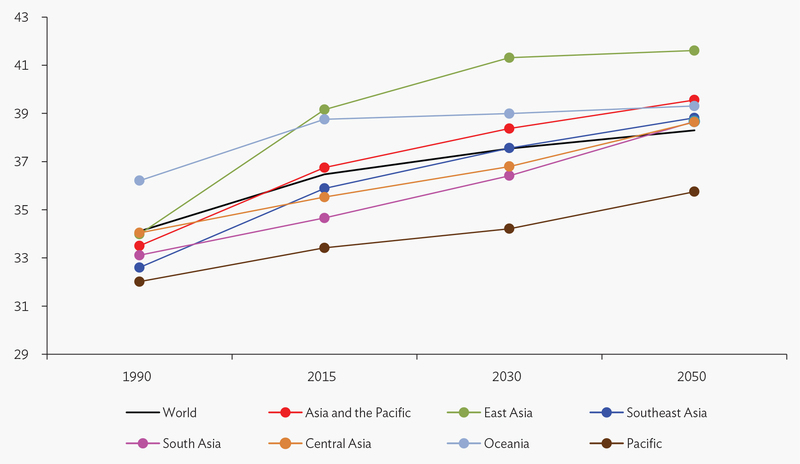 The demographic landscape in Asia-Pacific is characterized by rapidly aging societies. A low birth rate coupled with higher longevity has resulted in a 67 percent increase in seniors (aged 65 years and older). In numbers, this translates to an increase from 209 million in 2000 to 348.9 million in 2017. This is projected to reach 870 million by 2050. In 2015, the average age of the working population was 37; in 2050, it is expected to be 40. In fact, should the current rate persist, it will likely result in one in five individuals being a senior by 2055. Source: ADB calculations using data from the United Nations, Department of Economic and Social Affairs, Population Division. Between now and 2050, countries that are expected to witness an increase in the number of seniors include South Korea (from 14 percent in 2017 to 35 percent in 2050), Singapore (from 13 percent to 34 percent) and Thailand (from 11 percent to 29 percent). China is expected to register an increase from 11 percent to 26 percent. “Economies likely to see a large contraction of working-age population during this period include Hong Kong (10.4 percent), South Korea (10.3 percent) and Japan (8.7 percent),” the report said. The economic and social progress of a country is closely linked to demographic transitions. An increase in a younger workforce is commonly associated with accelerated growth. It has also been substantiated by empirical evidence that aging in advanced economies led to a decline in per capita product. Some Asian economies are expected to see a drastic reduction in their working-age populations (ages 15–64). For instance, Hong Kong, China and South Korea’s productive population will shrink by 10 percent between 2017 and 2030. Similarly, Japan, which is already at an advanced stage of aging, will witness even more reduction of its working-age population by 8.7 percent in the same period. According to the report, “aging and advanced economies such as Hong Kong, South Korea and Singapore have already been paying a demographic tax, with the negative impact of the old-age dependency ratio outweighing the positive contribution of youth to growth.” With aging populations, governments are burdened with the provision of increased social and income support and therefore, such countries will find it all the more difficult to finance growth. Technology for health and longevity. Higher longevity and healthier life spans have been a direct result of rapid progress made in the medical sciences and biotechnology sectors. In the Organization for Economic Cooperation and Development (OECD) countries, between 1977 and 2010, the estimated work capacity of adult men between the ages of 55 and 69 had grown by 3.2 years to 8.4 years. Healthier workers also have higher productivity. Technology for work and workplace. Technology allows seniors to participate actively and improves their productivity. With the incorporation of state-of-the-art technology such as automation and artificial intelligence (AI), jobs that were perhaps physically demanding earlier are no longer so. Industrial robots are being widely used and technology is expected to grow by a staggering 120 percent from 2016 to 2020. Technology for workers and supportive labor market infrastructure. Technology application allows the creation of a more supportive labor market and market infrastructure through tools such as innovative education and skills training, better human resource management for age diversity and better job-matching that enables seniors to participate actively in the workforce and enhance their job skills, too. Despite lifelong learning programs being offered by some governments in the region, there has been a lack of uptake of training and learning opportunities by seniors. For instance, in South Korea and Japan, there is low on-the-job training rates for middle-aged to older workers. In Singapore, only 19 percent of workers aged 50–64 participate in training, whereas this number is less than 10 percent in South Korea. This is in sharp contrast to 40 percent in the United States and Nordic countries. In addition, it is important for employers to extend equal training opportunities to workers of all ages, considering that in the U.S., seniors were faced with age discrimination and the lack of technology skills. The report also highlights the “gray divide,” that is, the gap between technology and the ability of seniors to use it. Though this has reduced over time, it is still evident in the region and involvement from both the government and the private sector is needed to narrow the gap. For instance, in Japan, the rate of internet access among the age group 60–69 was 23.5 percent lower than for the age group 20–29 in 2016. A similar story is playing out in South Korea and Singapore. a Ministry of Internal Affairs and Communications, Japan (accessed March 2018). b Statista. 2018. www.statista.com (accessed April 2018). c Infocomm Media Development Authority. 2017. “Annual Survey on Infocomm Usage in Households and by Individuals,” (accessed April 2018). While technology is mostly designed to cater to the young population, the report notes that “promoting age-related technology” is crucial to bridge the gray divide. 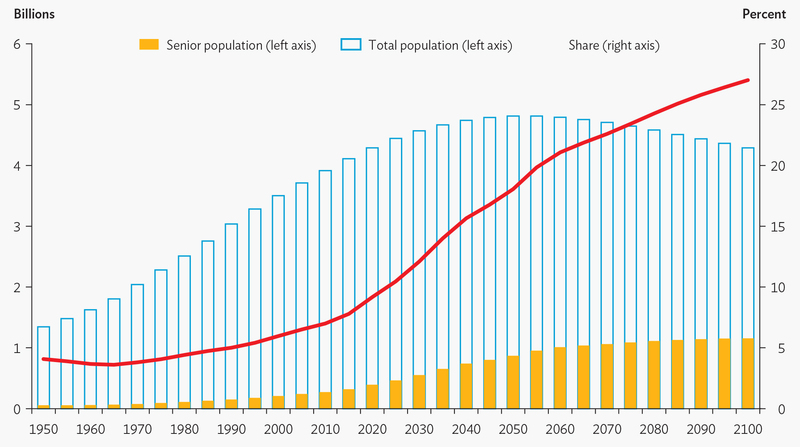 How Can Asian Pension Systems Deal With Aging Populations?